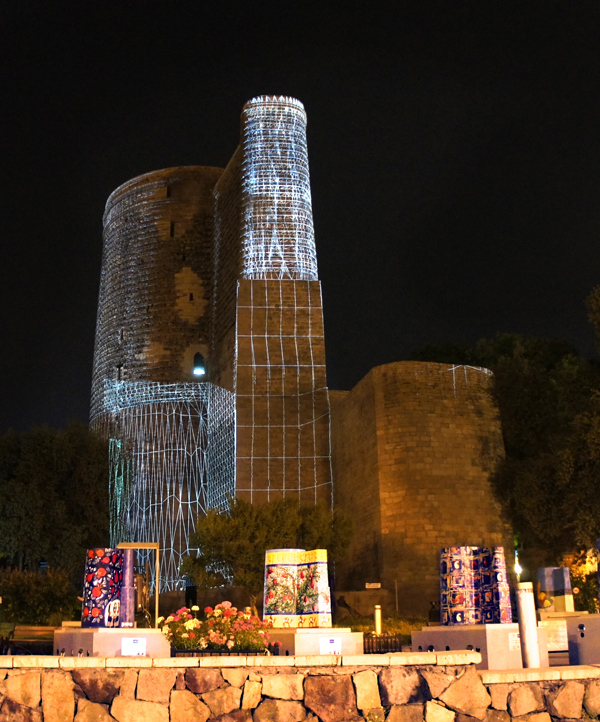 The Maiden Tower in Baku is a historical monument dating back to the ninth century AD, included in the UNESCO World Cultural Heritage List. 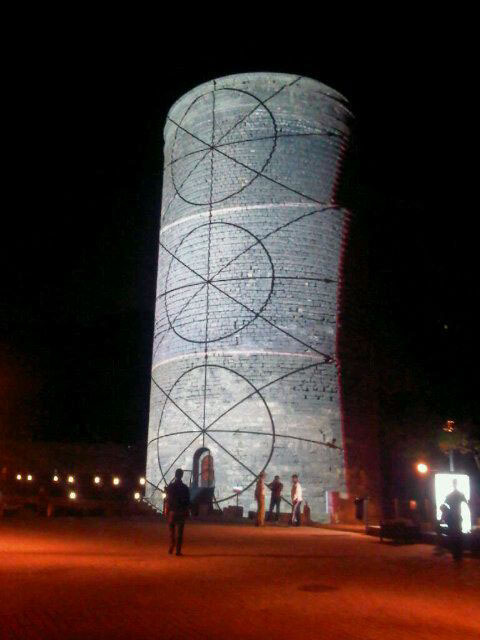 Symbol of great importance for the Azerbaijani culture , in 2010 it got its celebration thanks to a project of Heydar Aliyev Foundation which had as its objective the dissemination of the symbols of Azerbaijani land and the integration of world cultures : over 40 artists from around the world have taken part in this project. 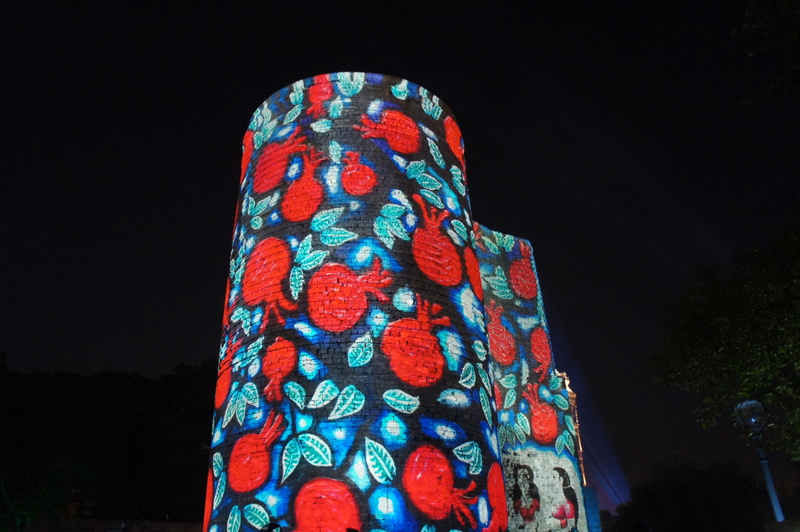 The artists, Azerbaijani and foreign , have been invited to paint on the mock-up of the Maiden Tower , interpreting it according to their personal and national style. 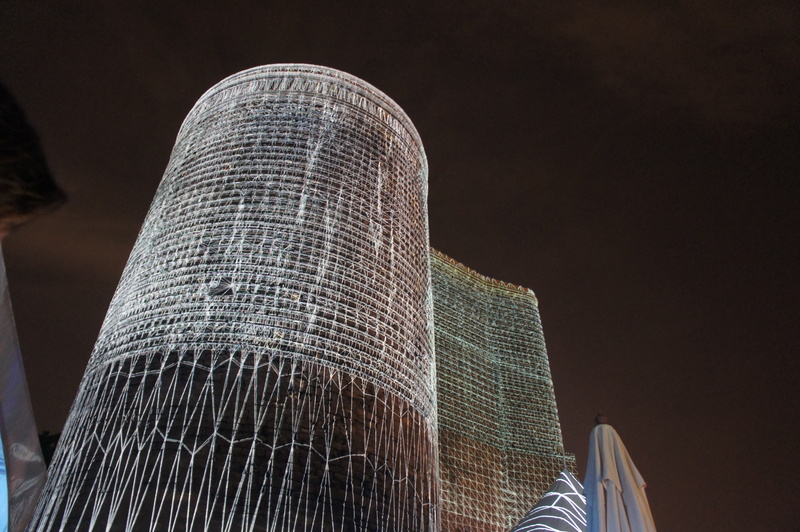 The result was a very interesting exhibition , set also in Italy at Villa Miani in Rome. 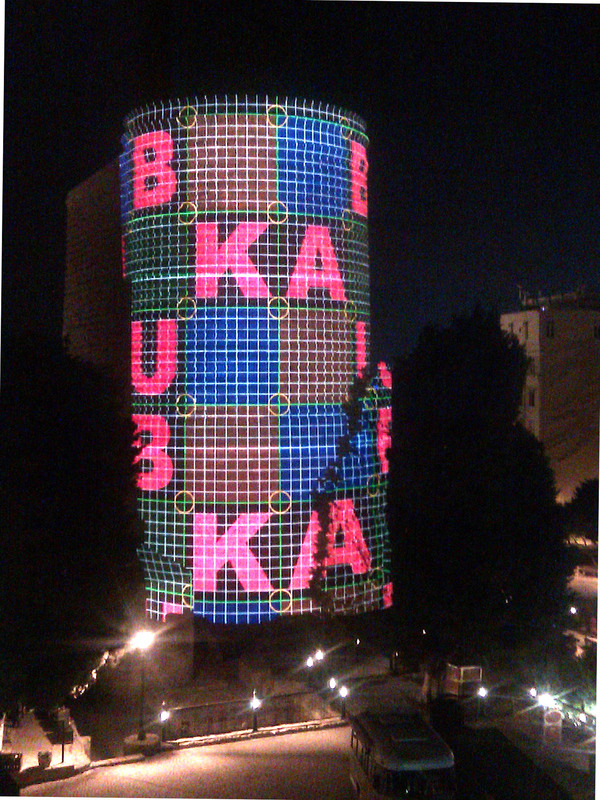 As part of the celebrations for the opening night of the Eurovision Song Contest held in Baku in May 2012, Azerbaijan wanted to make its symbol monument alive thanks to a 360°videomapping, in which the light was used to paint the animated textures of the selected works on the Maiden Tower. The mock-up paintings were then photographed and reinterpreted dynamically , transforming the ended and immutable painting , in alive and free material, which raises itself on the wall creating pictures and stunning perspectives effects. 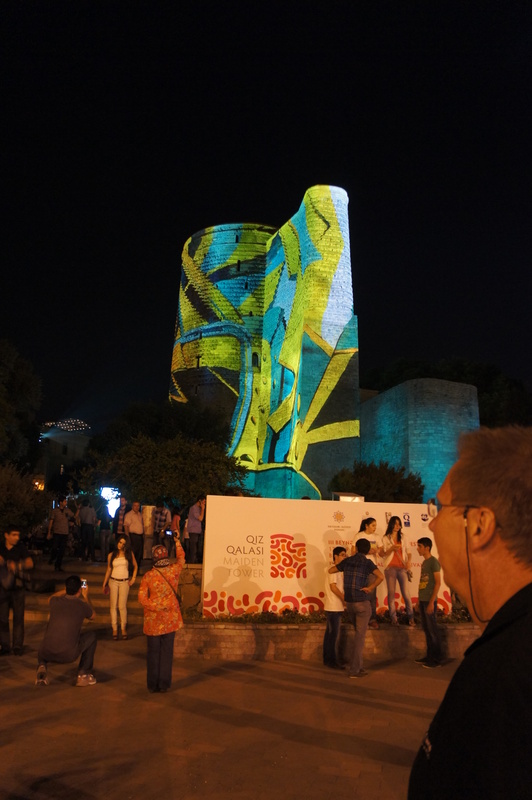 The video-mapping , which made use of 16 projectors for a total of over 350,000 ANSI lumens , was working for the whole period of the Eurovision.